The Only Political Party with Candidates Serious About Outlawing Child Murder Before Birth! This statement comes from the platform of the Constitution Party of Wisconsin (CPoW). We stand in stark contrast to the other political parties in Wisconsin. The Democrat platform states: “We believe in the complete freedom of reproductive choice [abortion on demand], as well as the individual’s right to choose death with dignity [assisted suicide].” The CPoW platform states, “we oppose all government ‘legalization’ of euthanasia, infanticide and suicide.” In practice, Democrats consider the preborn child to be the sole property of his or her mother, to be kept or disposed of as she wishes. This view is similar to those who supported slavery, since they considered the slave to be the property of his or her owner, who had the right to do whatever he wanted with his slave. According to the Green Party platform, they consider humans to be “Other animals,” yet while they claim to “work to reduce or eliminate animal suffering,” their platform ignores the suffering and mutilation of human children before birth. 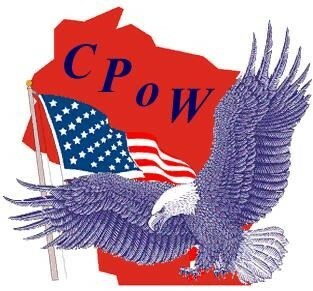 The Libertarian Party of Wisconsin agrees with the CPoW on the vital importance of following the Constitution, including the Bill of Rights, yet in their platform, there is no statement that specifically advocates the protection of the preborn. Rather they appear to support the choice that kills by stating, “an individual’s right to free choice must be recognized” and that “the morality of such choices is not a concern of government.” The immorality of killing babies is of not much concern to them. Republicans state they, “support legislative and judicial efforts that would affirm legal protection for all innocent human beings from conception until natural death,” however, Republican elected officials have done little to nothing to end the abortion holocaust, even when they had the majority of congress and the Presidency. One of the first Executive Orders made by President Obama was to remove the Mexico City policy, which prevented federal funding of international organizations that participate in or advocate for abortion. Republican presidents had instituted this policy, yet none of them opposed the millions of federal dollars going to such groups in this country, like Planned Parenthood, through Title X funding. George Washington said, “It is impossible to rightly govern the world without God and the Bible.” Like our Founding Fathers, those of us in the CPoW take our inspiration for civil government from the Holy Scriptures. Romans 13:4 tells us that the civil servant is “the minister of God to thee for good,” and for those who do wrong, “he does not bear the sword for nothing. He is God’s servant, an agent of wrath to bring punishment on the wrongdoer.” In order for government to determine “the wrongdoer,” it must make moral judgments. All laws proceed from one moral view or another. The question is: what moral view will our laws be based on? For most of the history of the United States, criminal laws and punishments were based on Biblical morality. The Bible also tells us that one thing the LORD hates is: “hands that shed innocent blood,” (Proverbs 6:17). The 6th Commandment reads: “You shall not murder,” (Exodus 20:13). The penalty is found in Numbers 35:30, “If anyone kills a person, the murderer shall be put to death on the testimony of witnesses; but one witness is not sufficient testimony against a person for the death penalty.” The platforms of the Democrat and Green Party oppose the death penalty and thus they oppose scripture. It is because life is sacred, that the destruction of it requires such a strong penalty. The penalty for taking a human life in our laws today, as in the scriptures, is dependent on the intent of the guilty party. First degree murder is pre-meditated and required the highest penalty, whereas, if it was done in the heat of the moment, a still serious, but lesser penalty is to be applied. Abortion involves the pre-meditated killing of human life, thus the highest penalty should be applied to abortionists. Scripture tells us the main purpose for civil government is: “to punish those who do wrong and to commend those who do right,” (1 Peter 2:14b). Regarding the case that decriminalized abortion, the CPoW states, “Although a Supreme Court opinion is binding on the parties to the controversy as to the particulars of the case, it is not a political rule for the nation. Roe v. Wade is an illegitimate usurpation of authority, contrary to the law of the nation’s Charter and Constitution. It must be resisted by all civil government officials, federal, state, and local, and by all branches of the government…” A few years ago, the Roe in this case, Norma McCorvey, tried to get the Supreme Court to re-hear the case on the grounds that she had lied about the facts of the case. She said she had been raped by black men, which she now proclaims was a lie. She asked the court to overturn the decision. The court refused to hear it. The facts apparently do not matter to them. Their decision showed that the case really wasn’t about Norma. She was not able to have the abortion she sought at the time, since she already had given birth to her baby when the decision came down. The court wanted to “legalize” the murder of children before birth for everyone. Sarah Weddington, the attorney that brought the case, had an abortion in Mexico and could have told Norma where to go to have one, but then she would have lost the useful tool to get what she wanted – abortion on demand in America, not for Norma. In 1996, Norma repented and found forgiveness in Jesus Christ. She said the pro-abortion movement used her for their own ends. The last years of her life, she worked to end the abortion holocaust that began with her case. The CPoW states: “In office, we shall only appoint to the federal judiciary, and to other positions of federal authority, qualified individuals who publicly acknowledge and commit themselves to the legal personhood of the pre-born child.” No Republican president has promised to do as much. The CPoW platform goes on: “Further, we condemn the misuse of federal laws against pro-life demonstrators, and strongly urge the repeal of the FACE Act as an unconstitutional expansion of federal power into areas reserved to the states, or people, by the Tenth Amendment.” The 10th Amendment states that the federal government is limited to specifically what the Constitution states they can do. All other powers are reserved to the States and the people. During the late 80’s and early 90’s, Christians across America participated in the Rescue Movement. Sit-ins were done in front of abortion clinics, to prevent mothers from entering to have their babies killed. Pro-life women called, “sidewalk counselors,” would talk to the mothers and offer help and alternatives to encourage them to let their children live. Blessed times of prayer, singing and worship occurred there. Those who were a part of these rescues felt an intense bond of faith and fellowship. Some put it as, “Living the book of Acts.” As a result of the Rescue movement, thousands of lives were saved from violent death, and lives were changed. In response to the rescues, sometimes the police sympathized with the cause and made no citations or arrests. Sometimes citations were handed out, which amounted to the equivalent of a traffic ticket. Sometimes the police used more force than necessary to move people. Sometimes rescuers spent days, weeks or months in jail. In 1995 Congress passed FACE, the “Freedom of Access to Clinic Entrances” Act. This law made it a federal crime to peacefully block the entrance to a facility that kills children before birth. The law was unconstitutional, since each state has jurisdiction for its own criminal laws. Just as the Supreme Court went beyond its authority in Roe v. Wade, Congress went beyond its authority. Of the five largest political parties in America, two are for abortion, one wants government to do nothing about it, and the other says it’s against it, but when in position to criminalize it, instead does nothing. The Constitution Party of Wisconsin is serious about ending abortion. True Christians and others who care about justice for the innocent, can find a home in the Constitution Party of Wisconsin. Please join by writing or calling today. Mark Gabriel is an 8th District Representative on the Constitution Party of Wisconsin State Committee and has served on the Platform, Convention, and Public Relations Committees.